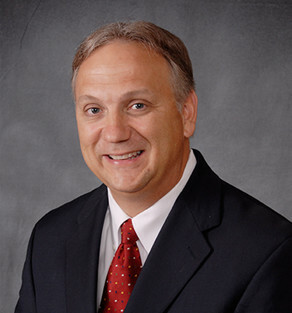 Gary Gore, CEO, Marshall Medical Centers is the Chief Executive Officer of Marshall Health System, with hospitals located in Guntersville (Marshall Medical Center North) and Boaz (Marshall Medical Center South) Alabama. 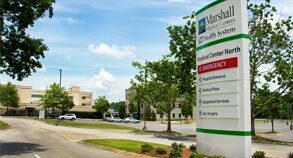 Marshall Health System provides services to the residents of Marshall and surrounding counties with over 1,300 employees. 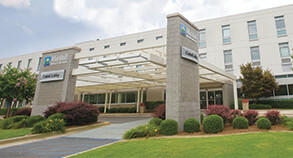 Prior to assuming the role of CEO, Mr. Gore served as Administrator of Marshall Medical Center North from 1989 to 1999. Before joining Marshall Health System, Mr. Gore was Assistant Administrator of HealthSouth Medical Center (formerly South Highlands Hospital) from 1984-1989. Mr. Gore is active in community and professional organizations including having served on the boards of and/or in various leadership roles with the Marshall County Economic Development Council, the Alabama Hospital Association, Marshall County United Way, the American Heart Association, the March of Dimes and the American Cancer Society. Mr. Gore is a graduate of The University of Alabama, with a Bachelor of Science degree in Healthcare Management. He also received a Master of Science degree in Hospital and Health Administration from The University of Alabama in Birmingham. Cheryl Hays holds a Bachelor of Science in Nursing from Jacksonville State University along with a Master of Science Degree in Health Administration from the University of Alabama in Birmingham. She is a fellow in the American College of Healthcare Executives. From 1988 until 1995, Mrs. Hays was the Vice President of Clinical Services for Cullman Regional Medical Center, and from 1995 until the time she joined MMC in 1999, held the position of President at Lawrence Baptist Medical Center in Moulton, Alabama. 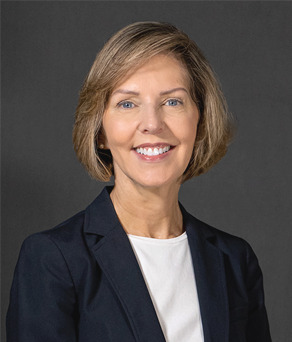 In 1999, Mrs. Hays joined Marshall Medical Centers as the Chief Operating Officer of Marshall Medical Center North, and in 2002 was also named Administrator of MMC North.